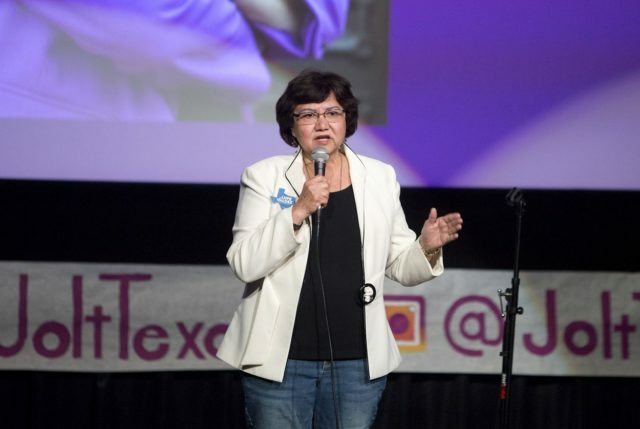 AUSTIN — Gubernatorial hopeful Lupe Valdez has apologized for failing to address questions about her immigration track record Sunday during a candidate forum aimed at young Latino voters. The nearly 700-word statement comes as potential voters and left-leaning advocates have pressured Valdez to explain why she cooperated with immigration authorities’ requests to hold people in her office’s custody. Karla Quiñones, the W.T. White student from Dallas who questioned Valdez, released a statement Tuesday on behalf of Jolt, a group focused on mobilizing Latinos to vote that organized the forum Sunday. During the exchange with Quiñones, Valdez said she supported immigration reform and a path to citizenship but did not address questions about her office’s compliance with ICE detention orders. After representatives from Jolt expressed dissatisfaction with her response, they endorsed her opponent in the May 22 Democratic runoff, Andrew White, who criticized Valdez for not directly answering the question. White has repeatedly pushed for a debate with Valdez, who has said she is open to it but her staff will handle the details. In her statement Monday, Valdez said the country has a “broken immigration system” that too often results in immigrants and other vulnerable communities being used as bargaining chips. The divide between immigration hawks at the federal and state level, she said, puts local officials in a no-win situation. Noting that she remained “steadfast” in her call for immigration reform and building trust with immigrant communities, Valdez touted her opposition to the state’s sanctuary cities ban and said she had been on the front lines in opposing the law. 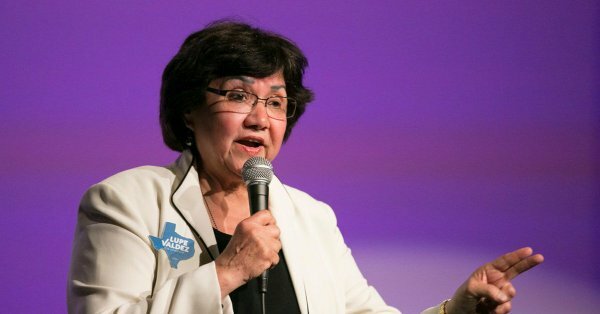 Valdez said in her statement that Abbott had “directly threatened” to cut her department’s funding because she had proposed changes to how the sheriff’s office complied with requests from immigration authorities. “While I was sheriff of Dallas County, I complied with detainers or else we could have risked funding for a range of resources, including drug courts, juvenile justice programs, and body cameras,” Valdez said. “I didn’t have the ability to change federal or state policy, and Governor Abbott got his way. As a daughter of immigrants, Valdez said she understands the distrust between the community and law enforcement. She added that during her law enforcement career, she’s proved to be “tough, but compassionate.” She said standing up for immigrant communities and ensuring they did not suffer the “cruel and inhumane” treatment her family had experienced was a staple of her life. “I have lived it, and it is my goal to make sure that young Texans don’t face that same treatment I witnessed years ago,” she said. Defending her record as sheriff, Valdez said she pushed for policies to ease detentions for minor offenses. She said she declined to designate local officers as immigration authorities under federal partnerships, known as 287(g) programs, and encouraged law enforcement officials to end nonessential collaboration with immigration authorities. WASHINGTON — As the year nears its end in Washington, a major issue remains for Congress: what do with DACA recipients. Top lawmakers are now saying a bipartisan bill providing relief for so-called DREAMERS could get a vote in January. Immigrant advocates once again took to the streets in Asutin on Wednesday, demanding lawmakers protect DACA recipients. One of the protesters was Samuel Cervantes: a UT student and DACA recipient whose parents brought him to the US illegally when he was five. “I had no concept of the immigration system, so for me it just felt like a trip,” Cervantes said. DACA allowed Cervantes and other undocumented immigrants like him to come out of the shadows. The program allows undocumented immigrants brought to the country illegally as children protection from deportation. But President Trump canceled the program this year, throwing Cervantes’ life into chaos. “Every day that I live not knowing what my future’s going to look like is a life of peril, is a life of anxiety,” Cervantes said. 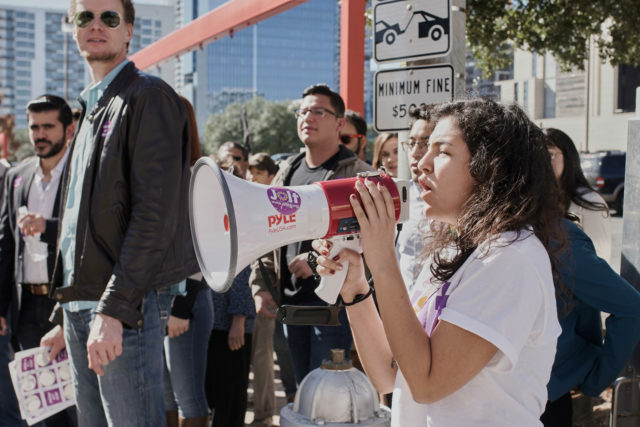 So Cervantes and others marched to Sen. John Cornyn’s office Wednesday, demanding he help pass legislation to help the roughly 124,000 other Texans whose temporary legal status will end in March. Top Democrats are also now moving away from previous threats to withhold support from a government spending bill over DACA. Democrats are expected to go along with border security provisions in return for protections for young migrants. But for Cervantes and others who gathered Wednesday, January isn’t soon enough. “We’re getting closer to a world in which these DACA recipients are going to be deported,” Cervantes said. A call to act quickly as time ticks down for the Dreamers.  At Jolt we are profoundly grateful for the support our donors provide. Through volunteer work and donation, they are powering a movement that will get more Latinos to the polls and change Texas politics. Here are two of their stories. Gary and his husband Richard’s generous donations and volunteer work helped launch Jolt and continue to power our organizing efforts. Gary and Richard are both fifth generation Texans. They are also early retirees who channel their professional expertise to advancing progressive causes. 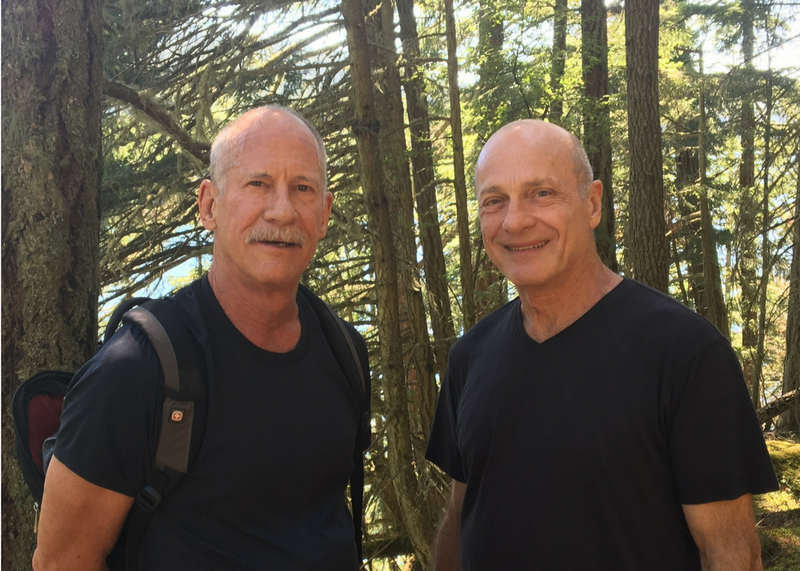 They both started their volunteer advocacy work with AIDS Services Austin (ASA), an organization that helps AIDS patients get the health care they need. Later, at the suggestions of their friend Bob Daily, Gary and Richard got involved with Workers Defense Project and met the organization’s founder Cristina Tzintzun. Gary and Richard were at a loss after the 2016 election, “we were frankly afraid for ourselves as gay people. We even considered leaving Texas.” But Gary and Richard didn’t leave, instead they connected with Cristina and got involved with Jolt, a new project to get more Latinos to the polls and create a better Texas for all. “I was so impressed by Cristina’s accomplishments and the national visibility she brought to Workers Defense Project, I knew that giving to Jolt was a good investment,” says Gary. 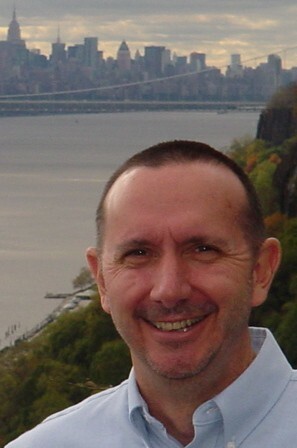 Bob is a former college professor and a recently retired network design engineer who has been a Texas resident for more than 20 years. Bob was moved to give to Jolt after the 2016 presidential election. Since the election, Bob has given his time and money to Jolt. Like many Austin residents, Bob was shaken by the retaliatory immigration raids President Trump carried out in Austin. “It’s frightening, intimidating and tragic. The Federal Government is terrorizing the residents of Austin.” Bob believes that in face of this adversity Austinites have to stand up for one another, that’s why he gives to Jolt. You too can help power a movement that will take Latinos to the polls and create a more inclusive democracy in Texas. Donations can be made online at www.jolttx.org/donate.